If you are wondering how to get started with DJing in 2019, then this guide is perfect for you. After years of testing and experimenting, I decided to attempt a comprehensive overview of what DJ software and what DJ hardware mix and match well together, and what I believe is the best match for a starting DJ. As you might expect, there is not only 1 golden truth. I’m a controller DJ, and although I have played on vinyl and media players, my expertise is mainly with DJ software and DJ controllers. Others might tell you that going the DJ software plus DJ controller route is stupid and that a turntable plus mixer is the only way to “keep it real”. That is their right to say, but it’s just an opinion, not the absolute truth. My conviction is that a software and DJ controller setup is affordable and reliable and is an ideal way to start out without breaking the bank. As you evolve, you might go one way or another, but investing in a setup that will set you back thousands of dollars without knowing if you are going to stick with it is not a good idea. Before going further, let’s quickly look at a few key terms that are frequently used when talking about DJ software and DJ controllers. Analysis DJ software allows you to import and analyze your music. It will typically detect BPM, beat grid and the key a track is in, amongst other things. Beat grid A song’s beat grid is the visual representation of its musical structure. It will show, on the waveform, a bar every time there is a beat in the song, making it possible to match the waves to the bars and as such properly detect the tempo of the song. Syncing Is the act of automatically bringing two songs with different BPM to the exact same BPM so they can be mixed together. Syncing is done by computers running DJ software. Beatmatching Like syncing, but then done by a human using his/her ears and the pitch controls on a turntable/media player/DJ controller. Phrase matching It means you match the structure of two tracks, not only the beats. You cannot bring in a beat-matched track at any random point into a mix since this will sound unnatural and jarring to the audience/listener. Beats Per Minute (BPM) Literally the number of beats in one minute of a given track. Most DJ software an DJ hardware have built-in BPM counters, so that you don’t have to count yourself. If you play with vinyl and turntables, learning to manually detect the BPM of a track is a key skill. Effects (FX) Effects are audio deformations applied to a track such as an echo, delay or flanger that provide ways for a DJ to perform intros & outros, or to spice up a build-up before a drop. Waveforms The waveform of a track is a visual representation of the sound waves, allowing a DJ to view the different beats and the differences between, for example, a hi-hat and a bass drum. It’s particularly handy to identify quieter moments and prepare for them accordingly. Hot Cues Hot cues are markers in a track, set at key moments (beginning of a drop, the start of the beat, start of the vocals…). They serve as access points so its easier to “jump” to a certain portion of a track. Digital Vinyl System (DVS) This is the name for DJ systems that allow playing digital music from a digital source (such as your laptop) using “traditional” DJ gear as the interface, such as turntables. Without going into technical details on how it works, the simple way of explaining is that it uses special records that contain time code. This allows sending an analog signal that a DAC (Digital Analogue Converter) can interpret and convert to a digital signal a computer can understand. For more details, check out a good explanation from Skratch Bastid here. MIDI (mapping) As a beginner, you shouldn’t worry too much about MIDI, but basically, it’s a protocol that exists for decades to transfer digital information between musical instruments. With DJ controllers, it is used to map physical hardware elements such as jog wheels, buttons, and knobs with functions in DJ software. Now let’s have a look at software. Choosing your DJ software is critical because in many cases, it will largely define which hardware you are going to DJ with. Many DJ hardware manufacturers have partnerships with specific software manufacturers and their DJ controllers will only work with that specific package, and the other way around. It can be a challenge to understand the different offerings, as many vendors have free versions, but these free versions often don’t contain the features you are looking for. DJ controller support for the different packages can be also quite confusing, and that is why in this article I try to match up each package with a few suggested controllers I know will work and will work well with said package, so you don’t have to do all the digging. Below are the 3 packages that are considered currently the leaders on the professional software DJ market. Even though there is also a very decent free version of Serato called Serato DJ Lite, and even if this one comes with most Serato DJ enabled controllers, I still recommend upgrading to the Pro version, as it adds significant functionality to the mix that you will be missing in the free version. Right behind the above 3 packages, there is a long list of other solutions. To my knowledge and experience, the 3 top contenders in this category are Algoriddim’s djay Pro (has also apps for Android and IOS! ), Virtual DJ from Atomix and finally Mixvibes Cross DJ (also has an IOS and Android app). There is one free DJ software package that in my opinion is worth looking into and that is Mixxx. Mixxx is free, open source and community created & supported. This guide won’t dive deeper into Mixxx, for one simple reason: it’s free and supported by a community of enthusiasts. And while they are certainly very competent people, the software is not very easy to set up and to use with commercially available controllers. Easiness of setup is a key element for beginning DJ’s, so that makes Mixxx more of a choice for DJ’s that really know what they are doing and have good knowledge of midi mapping. Big Three Or Runners Up? So, should you go for one of the big three (Rekordbox DJ, Serato DJ Pro or Traktor Pro 3) or rather for one of the runner-up packages? It depends on what is important for you. The leading DJ software packages not only support more DJ controllers, but the integrations are also usually better. Most DJ controllers on the market are specifically designed for Serato DJ Pro, Traktor Pro 3 or Rekordbox DJ (or a combination of the 3). Although most controllers will work with most DJ software, the mappings will rarely be as tight, and you might run into issues if the software changes while the mappings don’t. Import, export and sync your music library with other software packages. Song key detection and matching. This means that if you start off with Serato, Traktor or Rekordbox, chances are that your DJ software of choice will more likely be able to support you as you evolve as a DJ. Let’s dive into these leading packages, starting with Serato DJ Pro and Serato DJ Lite! Price: USD 99 for a new license, USD 49 as an upgrade. Recommended for: Beginning DJ’s that are ready to trade in complexity and a serious learning curve for great effects, advanced configuration options and legendary stability. 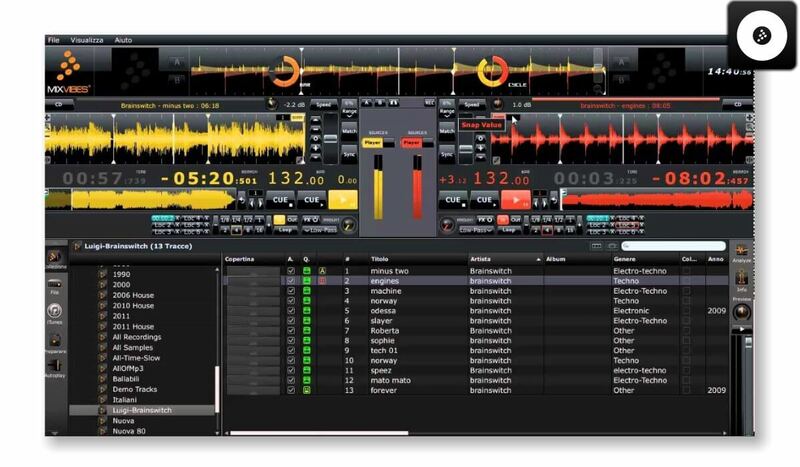 Traktor Pro 3 is the latest version of Native Instruments Traktor Pro software. It’s robust, professional, and even if the learning curve is a bit steep for beginners, it is not a bad way to start at all. Traktor Pro has been around for so long that by now it’s truly fine-tuned and very stable, as it is used by professional DJ’s around the world in very demanding environments. Traktor Pro 3 will analyze and beat grid your tracks automatically, but you can adjust everything manually if you wish (or need to do so). 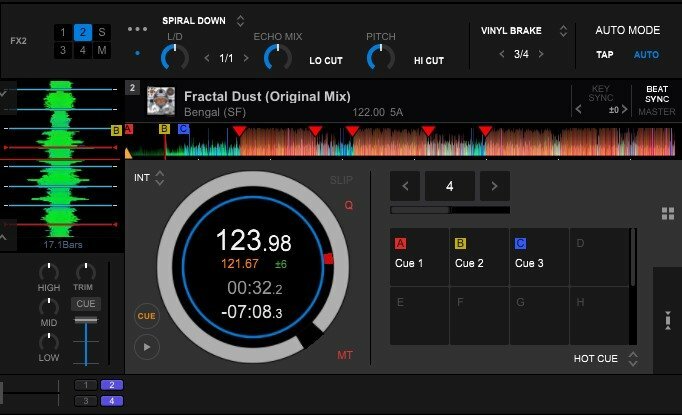 A Traktor Pro 3 deck contains all the info on a track: BPM, track length, a large and smaller waveform, a handy phase meter and other handy features. Traktor Pro 3 deck detail. The effects in Traktor Pro 3 are of very high quality, one of the best in the industry. There is a vast amount of effects to choose from, and Traktor Pro 3 comes with the new Mixer FX, that can be controlled directly from the mixer sections from the new Traktor Kontrol S2 MK3 and the Traktor Kontrol S4 MK3. It also has many interesting performance features, such as Remix Decks (a way to organize collection of samples in 4×4 grids) and Stems (a track format that delivers 4 individual tracks parts in one, splitting up tracks in typically bass, drums, vocals and the rest), but we won’t dive deeper into those features since they surpass the needs of a beginning DJ. Finally, Traktor Pro and its many features rely heavily on a locked and stable beat grid. If your DJ style is going to be playing a lot of older music with varying BPM, then Traktor Pro might not be the best option as it will struggle to detect the BPM changes and set a stable beat grid. 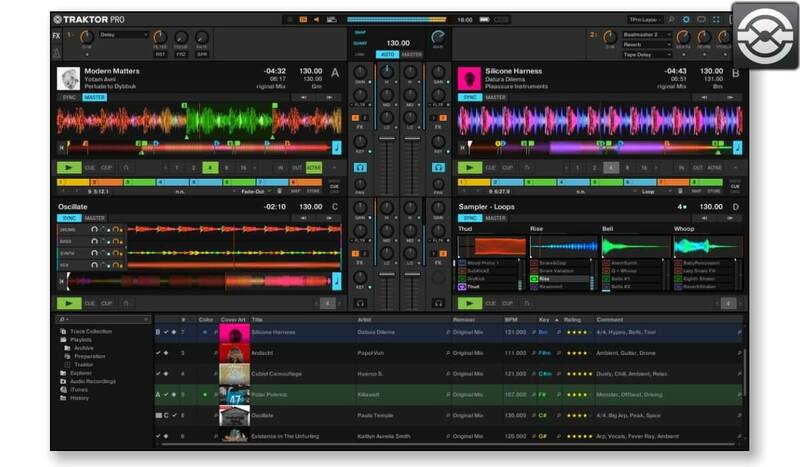 If you want to learn more on Traktor Pro, check out our full piece on it (this is our take on Traktor Pro 2, not the newest version Traktor Pro 3). To buy Traktor Pro, head over to the Native Instruments website. Top notch effects, sync and beat-gridding options. Uncluttered interface and clear visual feedback. Remix Decks and Stems for advanced remixing & performance possibilities. Diving into the settings can be frustrating for a beginner due to the many, many options. No support for stacked waveforms. No support for video mixing. Native Instruments make their own DJ controllers, so if you buy a Native Instruments DJ controller you will get a license for Traktor Pro in the box, making the price point of these controllers more attractive. The Native Instruments Traktor Kontrol S2 MK3 is the ideal beginner controller for Traktor Pro. It supports two channels, is well build and has excellent quality jog wheels. The pads are backlit and offer excellent feedback and response. It comes with Mixer FX on the mixer for easy effects control. Check out our first impressions of the Traktor Kontrol S2 MK3. 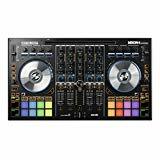 The Native Instruments Traktor Kontrol S4 MK3 supports 4 decks and is a bit more expensive than the S2 MK3. It has spinning jog wheels with haptic feedback, so you can actually “feel” the cues and other track characteristics and has built in LCD screens that show key track data for easier mixing. Check out our comparison between the Kontrol S4 MK3 and the Pioneer DJ DDJ-SX3. Recommended for: Beginning DJs that plan to play a wide variety of music (including older music with variable BMP), evolve to a DVS system and/or video, and/or are willing to trade functionality in order to start with a free version. Serato DJ Pro is very popular with the scratch/hip-hop/rap crowd, mostly because of Scratch Live, one of the first DVS packages on the market. This unlocked digital DJing for all those DJs that wanted to keep using their turntables and do all their old (and new) tricks on them at the same time. Because of this, the BPM detection in Serato DJ is more flexible than the one in Traktor Pro. Serato DJ offers high-quality effects, made by audio technology company Izotope. The advantage here is that you can easily add more effects to your setup as Serato sells effect packs separately. The interface can feel a bit cluttered, but the configuration screens are easier to understand and learn than Traktor Pro 3. One of the distinct features of Serato DJ is that it shows waveforms in stacked (horizontally or vertically) form. This helps with beat matching, as you can visually inspect if the songs beat grids are aligned. There are many performance features in Serato DJ, some come with the base software, for other you need to pay extra, such as the DVS module, the Video module, and something called Pitch ‘N Time (play around with the tempo & pitch of your track without impacting quality). Finally, now you can use Serato DJ Pro in practice mode, which means that you don’t need a connected controller to prepare your tracks. Also, a new extension pack called Serato Play allows you to mix without a controller, enabling a basic software mixer and support for a split cue cable. 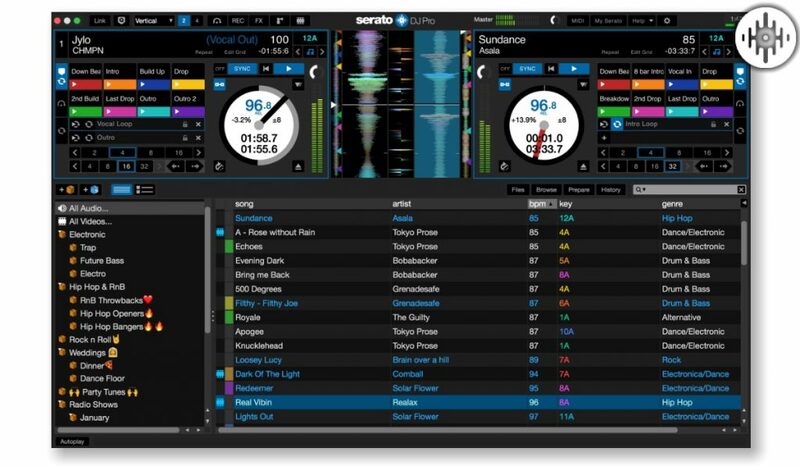 There is also a free, entry-level version of Serato DJ called Serato DJ lite. This version is free to use on any compatible controller, and since Serato DJ Lite controllers can be used with Serato DJ Pro as well, there is a clear upgrade path available. 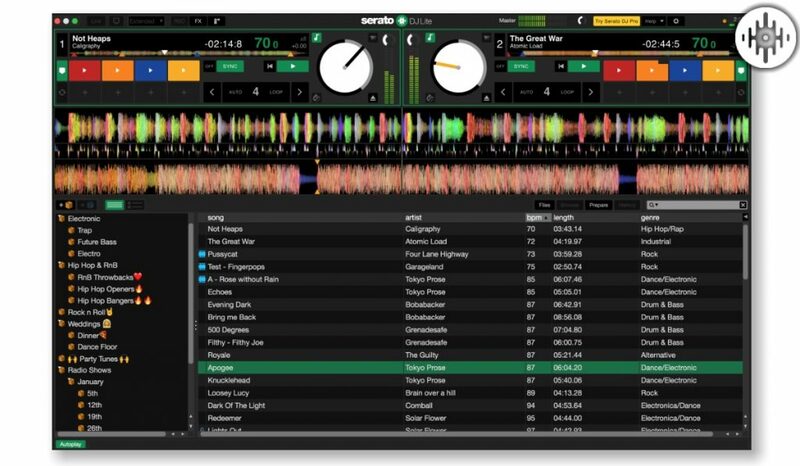 Serato DJ Lite has a few notable omissions, such as the capacity to record your sets, or the support for 8 hot cues per deck and 32 sample slots. Also, slip mode is not available in Serato DJ Lite. 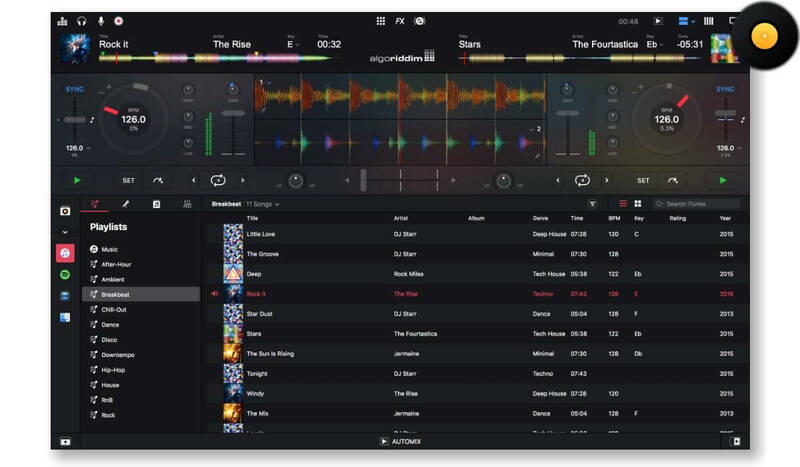 The interface is a stripped-down version of Serato DJ Pro, which means that when you are ready to move up, Serato DJ won’t be too much of a learning curve. If you want to have more details on Serato DJ Pro, check out our detailed review here. If you want to try Serato DJ Pro download it here, to buy Serato DJ Pro, go here. For Serato DJ Lite, go here. Very well established, clear and easy to use options & configuration screens. High-quality effects and a lot of performance options that are well implemented with compatible DJ controllers. Lot’s of additional modules and plugins available. Supports DVS and Video, and beginners can start with Serato DJ Intro which is free and evolve from there. Extra effects, plugins and performance modules come at a cost. Library management is a bit rudimentary. The interface itself can feel a bit cluttered. Serato DJ has licensing deals with several DJ hardware manufacturers. 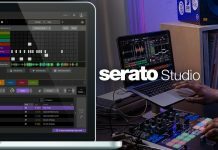 Some DJ controllers are enabled for Serato DJ Pro and don’t need a license (you just need to download the Serato DJ software) others are Serato DJ Pro ready and require you to purchase a Serato DJ Pro license. The suggested controllers below require a Serato DJ license but work without additional costs with Serato DJ Lite. The Mixtrack Platinum is the first controller with build in LCD screens in the center of the jog wheels. It has a large pitch fader (ideal for learning how to beat match), easy access to effects, a touch strip to quickly navigate tracks and a build in soundcard. Check out full review of the Mixtrack Platinum. The Pioneer DJ DDJ-SR2 is the successor of the classic DJ DDJ-SR. It’s well built, features 8 pads per deck and large aluminum jog wheels. The mixer is well laid out and spacious, and the mixer can be used with external media players as it’s a standalone mixer. Check our full Pioneer DJ DDJ-SR2 review here. Recommended for: Beginning DJs that want to use what the Pros use and be ready from the start to play on CDJ/DJM setups later in their careers. Rekordbox DJ is the new kid on the block here. It was launched in October 2015 and has since then built a very solid reputation. Of course, Pioneer DJ has the user base to achieve this and backed up by an extensive line of Pioneer DJ controllers build exclusively for the software, success was almost guaranteed. Rekordbox DJ is built upon the foundations of Rekordbox, Pioneer DJ’s music management software, which is not only a true powerhouse when it comes to music preparation and management, it’s also used by professional DJs that play out on Pioneer CDJ media player and DJM mixers. This means that if you prepare your collection in Rekordbox, it will not only be prepared for Rekordbox DJ, but also for professional DJ gear from Pioneer DJ. Which is a huge advantage if you break through and get to play in clubs and festivals, that use predominantly CDJ players and DJM mixers. Pioneer DJ gear is the industry standard, and until that changes, working in the Pioneer DJ ecosystem only offers advantages. 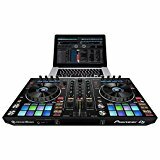 Since Pioneer DJ makes their own DJ controllers for Rekordbox DJ, and as they don’t support third party gear, the DJ controllers really mirror the features and functionalities the software has to offer. The pad section is a 2×4 performance pad grid that has 8 different functions, from basic things such as Hot Cues and FX to Loop Roll, Slicer, and Samples. The built-in effects are great and mirror what you can find on professional Pioneer DJ DJM mixers. There are many ways to display your decks and waveforms, from stacked horizontally or vertically to 2 or 4 decks. In this, Rekordbox DJ resembles strongly Serato DJ. If you want to have more details on Rekordbox DJ, check out our detailed review here. For buying, trying Rekordbox and Rekordbox DJ go here. DJ software and music management solution in one, and the industry standard solution currently used by most pro DJs out there. Stable, well-designed and easy to use. Lot’s of expansion packs available. • Only works with Pioneer DJ controllers. • Can be pricey with the expansion packs. Rekordbox DJ only works on Pioneer DJ controllers, so choices are limited. Luckily, there is a controller for each type of DJ and the entry-level ones are truly great. The Pioneer DJ DDJ-400 is the entry-level controller in the Rekordbox DJ range from Pioneer DJ. It’s complete with a full 2×4 pad grid, excellent aluminum wheels, controls for effects and looping and a 2-channel mixer. Perfect to get started in the Pioneer DJ ecosystem at a reasonable price. Check out our review of Pioneer’s DDJ-400. The Pioneer DJ DDJ-RR is the bigger brother of the DDJ-400 and apart from being a 2-channel controller and having a tiny pitch fader, it could pass for a professional piece of DJ gear. There is even a hardware mixer that can handle external sources such as CDJ’s and turntables! The pads are velocity sensitive and backlit, and the jog wheels have a color LED strip in the center ring. Check out our full review of the Pioneer DJ DDJ-RR. Now let’s have a detailed look at the runners-up! Recommended for: Beginning DJ’s that want a slick interface and the option to use their DJ software across many software platforms. Today, djay Pro for Mac is fully integrated with iTunes, has 4 deck support, can stream from Spotify, has hot cues, loops and effects much like any other professional DJ package. As of April 2017, djay Pro is also available on the Windows 10 platform, offering support for touchscreens and more. But the coolest part is that since it runs on top of iTunes, if you decide to switch to your iPad or your iPhone to DJ from there, your cue points and track analysis are preserved. 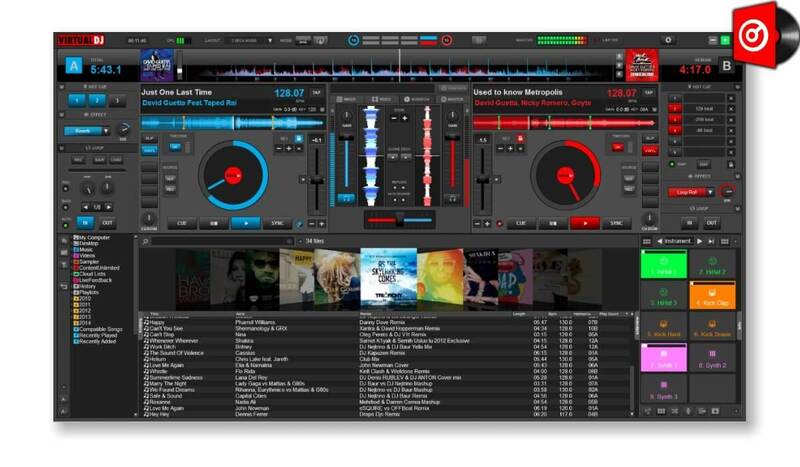 djay Pro’s look can be configured in many ways. Waveforms can be stacked vertically or horizontally, or you can go for the classic turntables look. The software is ready to handle video as well, but there is no DVS support as for now. Some DJ media players such as the Pioneer DJ CDJ-2000nxs2 can be connected through HID. Regarding DJ controller support, Algoriddim works closely with many DJ hardware manufacturers, and the list of supported DJ controllers is quite long. Check below for our picks. Very stable and sleekly designed, djay Pro has all that the starting and more advanced DJ needs. The flexibility of being able to use your phone, tablet, Mac or PC to play is a great plus. 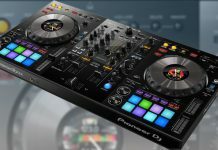 The list of supported DJ controllers for djay Pro is as said long, but we do have our favorites. The Pioneer DJ DDJ-Wego4 is a pretty interesting controller. 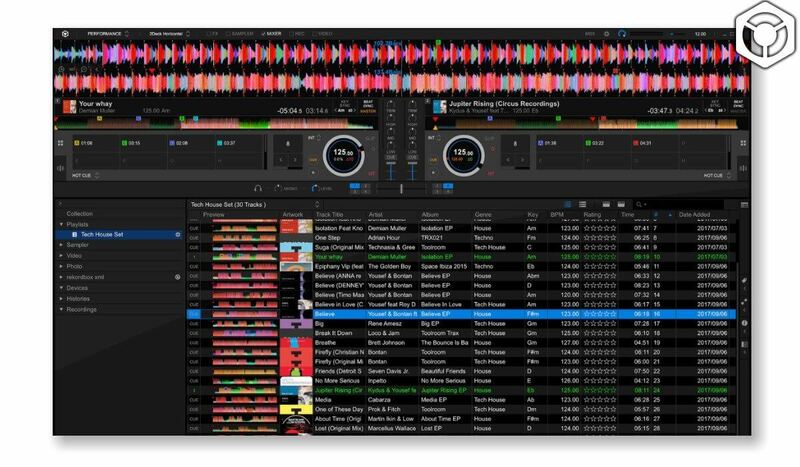 Besides the rather particular look, it supports an ample amount of DJ software packages: djay Pro on Mac, iPhone and iPad and Virtual DJ on PC/Mac. djay Pro is also supported on Android devices. There are hardware controls for your FX, loops and samples. The Reloop Mixon 4 is a bit more expensive and probably not a beginner’s first choice, but it’s worth to mention here because it supports so many different platforms. With 8 pads per deck, a 4-channel mixer and a lot of performance features, the Mixon 4 not only works great with djay Pro for iPad, Mac or Windows, but also with Serato DJ Pro and Lite! Check our detailed Mixon 4 review here. Recommended for: Starting DJs that want to DJ on their laptop/PC and want the best experience free software can offer, have to choose Virtual DJ 8. Virtual DJ 8 is available for free for home use. This is a great thing because a license is quite expensive compared to any other DJ software. You can pay USD 299 for everything and be able to connect every available controller, or you can pay USD 19.99/month on a subscription basis. The last option is to buy a specific license for your controller, and the price varies depending on your controller, for example, for the DDJ-SX2 it’s USD 199. The software is rock solid, and on a recent laptop, be it PC or Mac it runs smooth as silk. Virtual DJ 8 is really made to be operated on a laptop, with a laptop keyboard and mouse. Triggering hot cues and loops is very easy and responsive, so you are always “on time”. The decks look clean and spacious, making them easy to use with a keyboard. All the features that you might ever need are there, such as an extensive range of effects (which however are not as good as Traktor Pro or Serato DJ), samples, loops, auto loop, cue roll, too much to sum up here. 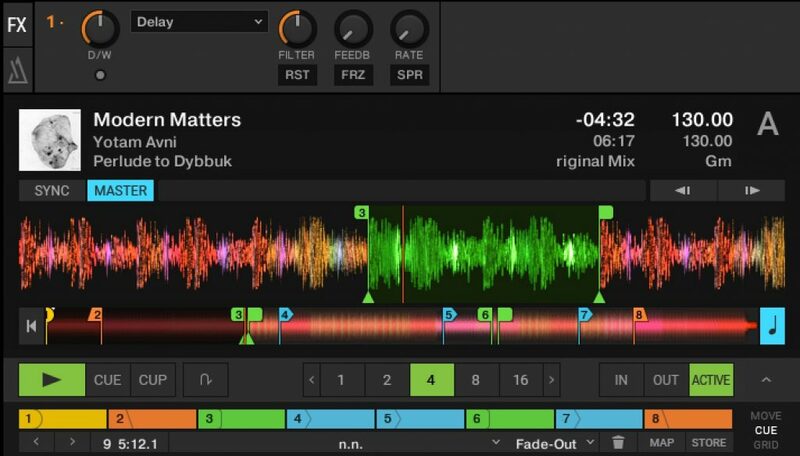 The space between two decks can be customized to show master output controls, video controls, mixer or scratch controls (featuring Serato like vertical waveforms). There are a series of editors included that allow to edit your samples, track BPM and videos, and chances are your DJ controller is supported, as Virtual DJ supports over 200 DJ controllers! Virtual DJ gives you the full software for free, and it’s easy to use with only a keyboard and mouse. The sound is great, the software looks good on high-resolution displays and the feature set is beyond complete. If you want to connect 1 or multiple DJ controllers prices shoot up quickly, so ultimately an expensive option for a starting DJ. Virtual DJ 8 supports literally hundreds of DJ controllers, we selected a few ones that work very well and where the license price is not higher than USD 100. The Roland DJ-202 is a great entry-level controller and it has all the usual features you have come to expect, such as 8 pads per deck, a decent mixer and quality jog wheels. On top of that, it features a built-in sequencer for added creative possibilities! Check out our full review of the Roland DJ-202! The Denon DJ MC4000 is well build and very well featured. With large aluminium jogs, large pitch fader, easy to use pads and lots of inputs (aux, microphone) and outputs (XLR, TSR and RCA out) it feels much more pro than the price suggests. Check out our full review of the Denon DJ MC4000! 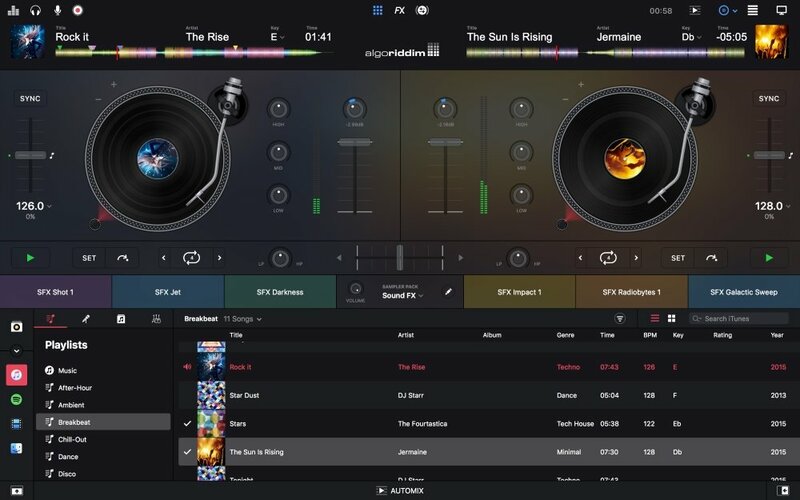 Mixvibes Cross DJ main interface. Recommended for: Starting DJs that want a very basic starting solution and that are interested in video mixing should give Cross DJ a try. Mixvibes DJ software comes in many flavors. There are apps for IOS and Android phone and tablets, which we will not investigate (for now), and there are versions for PC and Mac. For the desktop, there are 3 different options. First, there is Cross DJ Free: basic functionality, but already with video mixing. 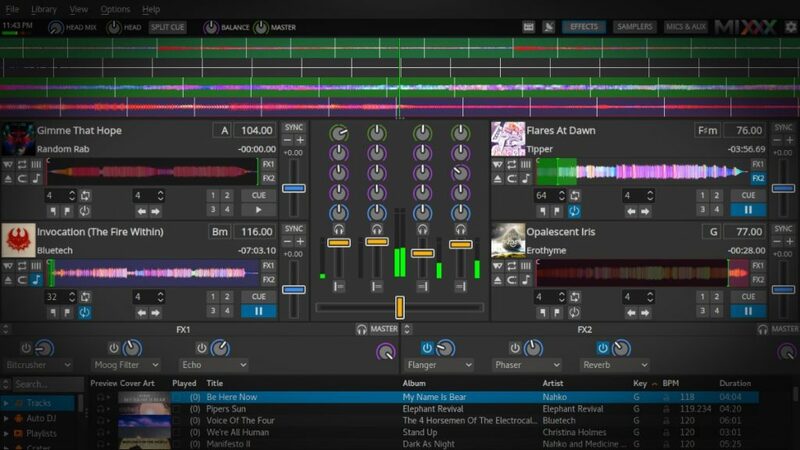 Then, there is Cross DJ: Adds midi controller support, snap, quantize and slip, 4 deck support, and video effects. Finally, there is Cross: comes with HID control for CDs, DVS capabilities, full video support. The free version is not enough to get you going beyond the absolute basics since you cannot connect DJ controllers, you only get 3 effects, there is no quantize so working with a keyboard and mouse is quite tricky. Upgrading to Cross DJ will set you back no more than USD 49, giving you the possibility to connect your DJ controller. The list of supported DJ controllers is long (80) but many are older controllers that you would struggle to find today for sale unless you go second-hand. I know that more recent controllers are also supported (ex: Pioneer DJ DDJ-SB2) but Mixvibes should keep the list up to date as it is an important fact on which buyers will base their buy/no buy decision. The cool thing about Cross DJ Free is that it has (basic) video mixing build in, so for no extra cost you can start video mixing and find out if it’s right for you. List of supported controllers feels a bit abandoned, hardly any recent DJ controllers on there. Not many recent DJ controllers are supported (for now) so I’ll keep it at the only suggestion I’m confident about. The Pioneer DJ DDJ-SB2 is a very capable DJ controller offering all the basic functionalities you will need as a starting DJ. Aluminium jogs, backlit performance pads, a build in soundcard and compatibility with many DJ software packages (Rekordbox DJ, Serato DJ, Cross DJ, Virtual DJ…). So what is your choice for starting out? Any other suggestions on software/hardware that I missed here? Or did I get it totally wrong? Comment below!